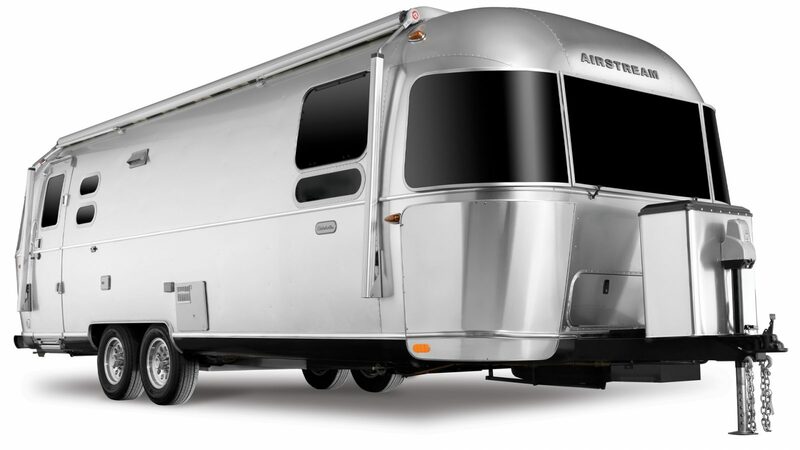 The Globetrotter comes in four spacious floor plans. Choose between a queen bed or twin beds in the front of the travel trailer. 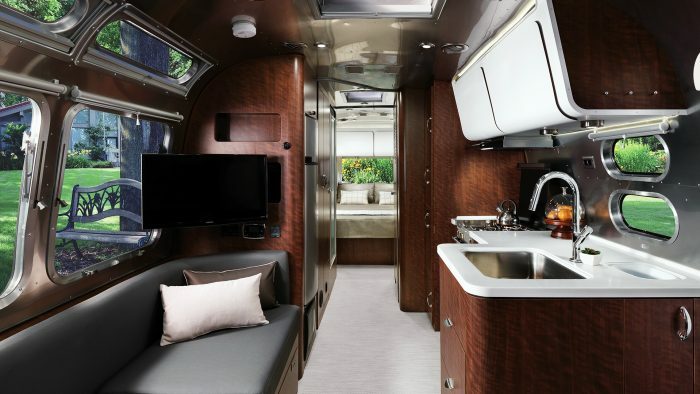 Take a closer look at the Globetrotter, both inside and out. 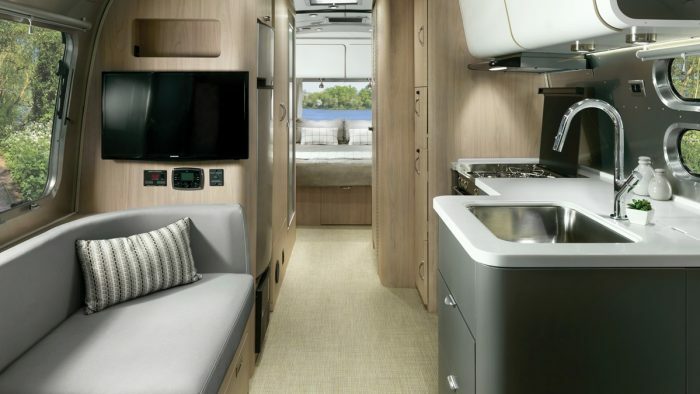 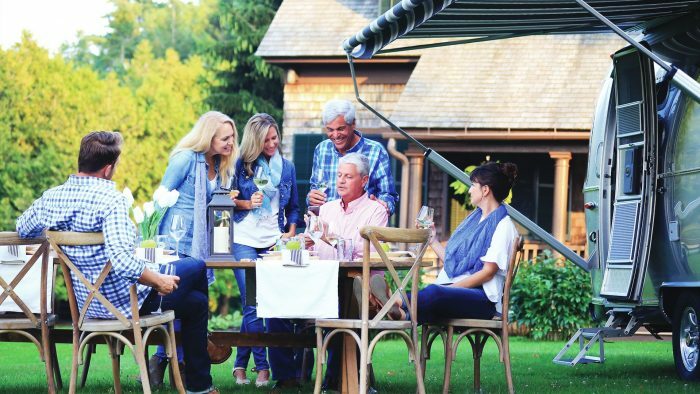 See the design choices, technology, and modern appliances that make the Globetrotter feel like it was made just for you. 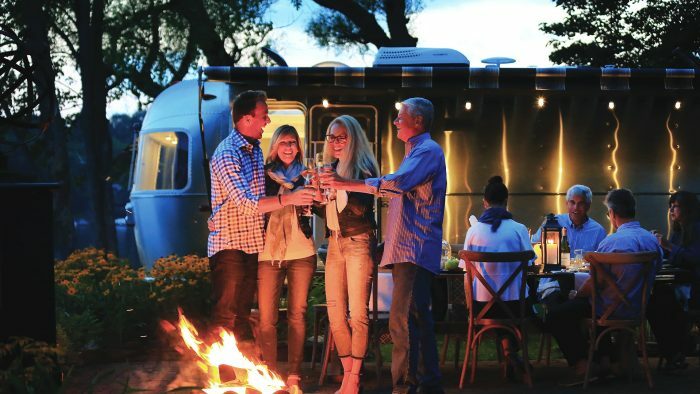 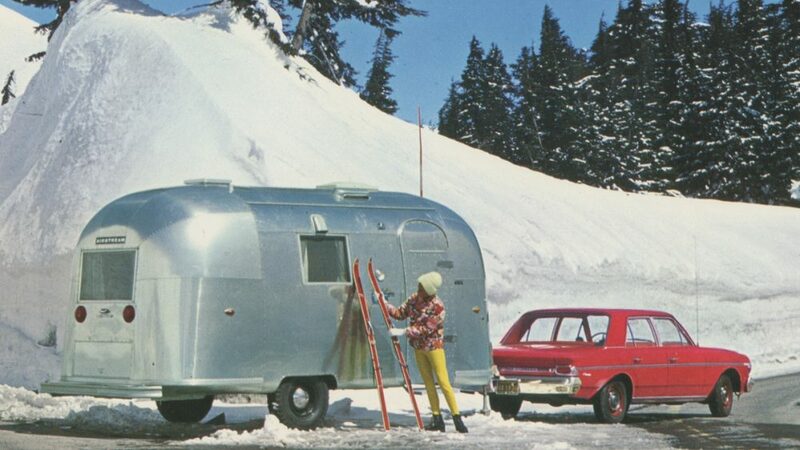 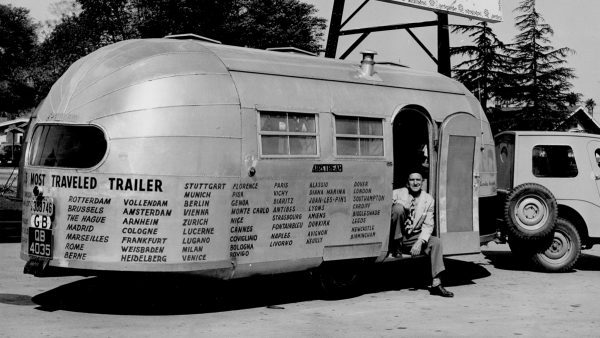 In 1948, our founder, Wally Byam, and his friend Cornelius Vanderbilt painted the words “Globe Trotters” on the side of their Airstream and headed for Europe, which inspired the original line of Globetrotter Travel Trailers in the 1950s. 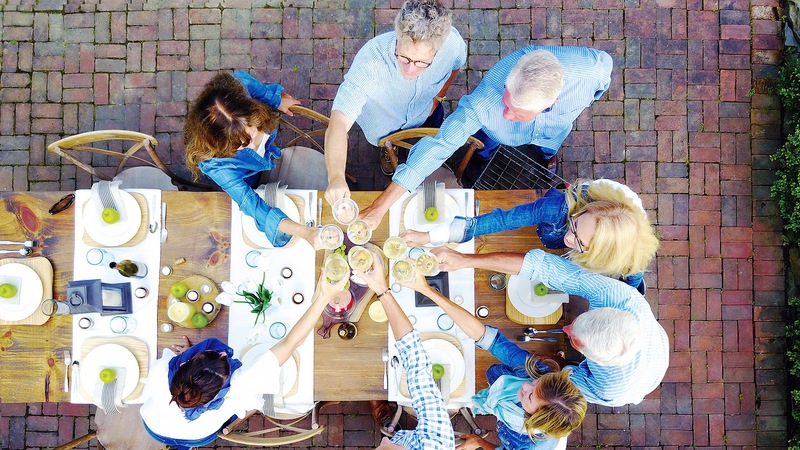 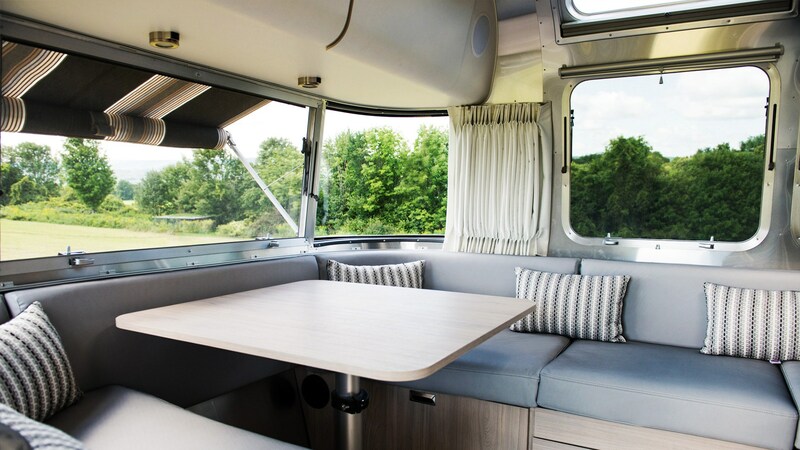 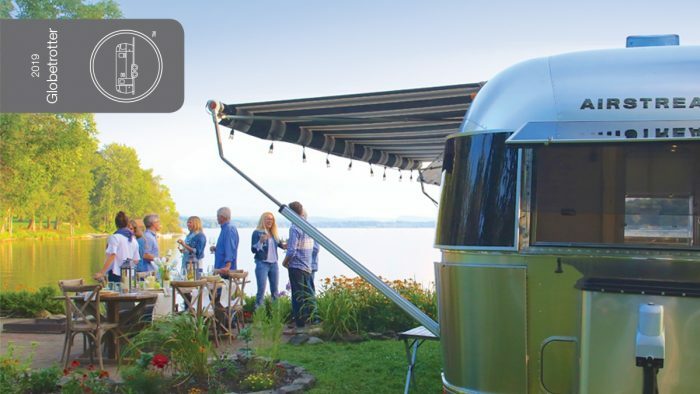 Today’s Globetrotter captures the spirit of adventure and the tradition of European design, all in a travel trailer that’s built entirely here in Jackson Center, Ohio, USA. 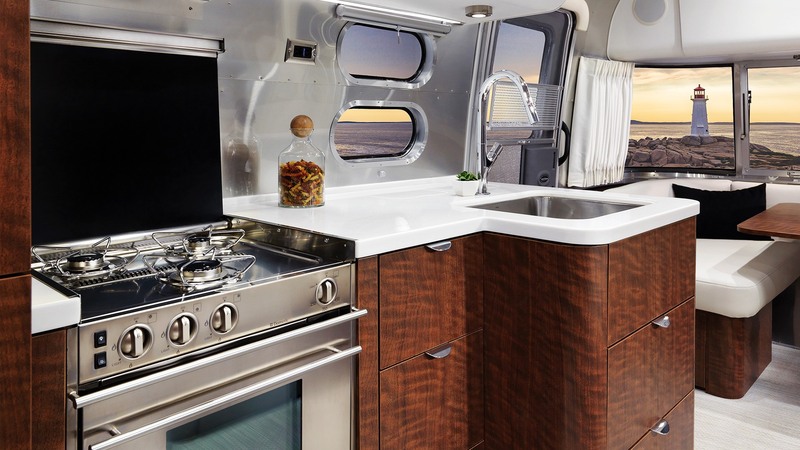 The kitchen makes an impression as soon as you step inside the Globetrotter. 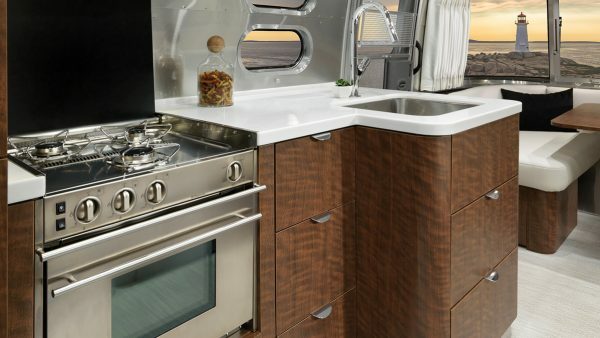 High-end, stainless steel appliances feel like home and inspire you to make something amazing, and a Franke faucet fits perfectly into the modern design. With the Globetrotter, the great indoors is just as entertaining as your outdoor adventures. 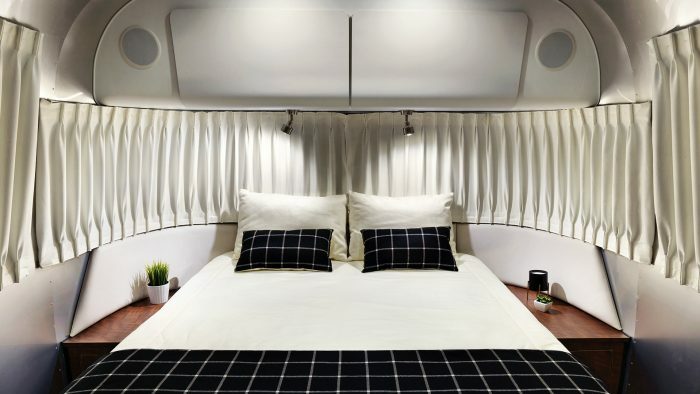 The Polk® audio system speakers blend seamlessly into the upper locker design, yet project sound throughout the trailer. 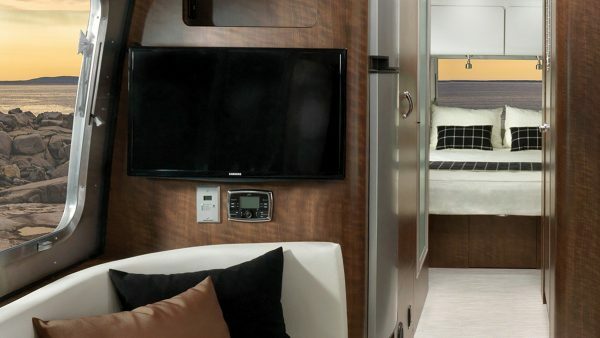 Samsung® LED HDTVs are mounted in both the lounge and the bedroom, and a Blu-Ray™ player is on board for movie nights.